With nearly two decades of experience, KRK Realty and Management, property management Phoenix AZ knows how to make property owners and renters happy. Based in Scottsdale, we match owners and tenants across the Valley of the Sun (specializing in the Phoenix and East Valley areas of Tempe, Scottsdale, Mesa, Gilbert, Chandler, and all around ASU’s main and east campuses). 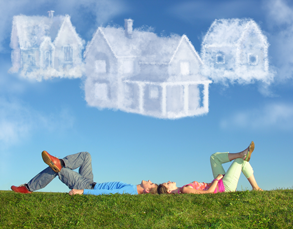 We have been in the process on focusing on our in house ownership properties. We no longer offer property management services for third party owners. We are always looking for new investors to partner with for new purchases to be held as long term rental and investments. Whether you’re an investor with one home to manage or multiple properties, you want the same thing: peace of mind that your property will be well taken care of and bring you income for years to come. What you don’t want are midnight calls from tenants or the worry that can come from managing multiple properties. KRK Realty and Management provides a buffer between you and your tenants, advising them on what is expected throughout their lease, and ensuring that they maintain your property as if you were living there. Your realty portfolio is likely one of your largest assets, and we provide peace of mind that it will remain so, hassle free. In addition to our tenant services, you will also receive monthly reporting on all of your properties’ activities, as well as sales tax reporting. Share these reports with your CPA or tax professional, and your worries are over! If you own investment property in the Phoenix AZ surrounding areas: including Scottsdale, Mesa, Gilbert, Chandler, Tempe, and around ASU’s main and east campuses, contact the professional team at KRK Realty and Management. 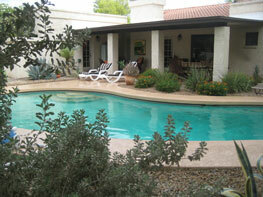 We want to be your “go to” property management for Phoenix AZ. THANKS FOR YOUR INTEREST! WE ARE NO LONGER TAKING ON NEW MANAGED PROPERTIES.